Jurgen Klopp has instilled a distinct identity at Liverpool, and it was the influence Wolfgang Frank which played a formative role in his managerial philosophy. Born in West Germany, Frank managed Klopp’s former side Mainz in two separate spells, from 1995 to 1997 and 1998 to 2000, fundamentally transforming the club’s mode of operation both on and off the pitch. Having scored 89 goals in 215 appearances in the Bundesliga throughout his playing career, it was his impact as a manager which left a lasting legacy, ultimately proving one of the most significant sources of inspiration for Klopp’s own career. And while Klopp’s own managerial journey from Mainz to Liverpool, via Borussia Dortmund, has been well documented over the years, the role of Frank as his mentor is perhaps less widely known. Here is a synopsis of Frank’s time at Mainz and how, ultimately, he proved such a key figure in Klopp’s transition from a fairly mediocre player in Germany into one of the most well-renowned managers in world football today. Klopp has gone on record as crediting Arrigo Sacchi—whose AC Milan side dominated European football throughout the 1980s and early 1990s with a style built upon coordinated movement and pressing—for providing the original inspiration for Frank’s own tactical philosophy. Frank—who also drew inspiration from Ajax’s total football during his brief spell playing for AZ Alkmaar between 1973/74—was fascinated by Sacchi’s teams. 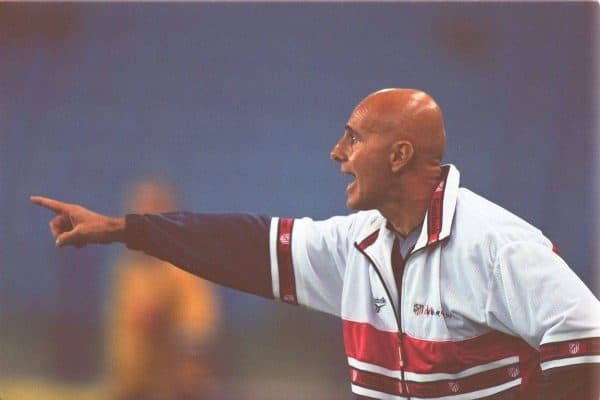 Key to Sacchi’s approach was the emphasis on controlling spaces and suffocating the opposition through a sophisticated and synchronised understanding of the importance of what players do off the ball, as well as their ability in possession. 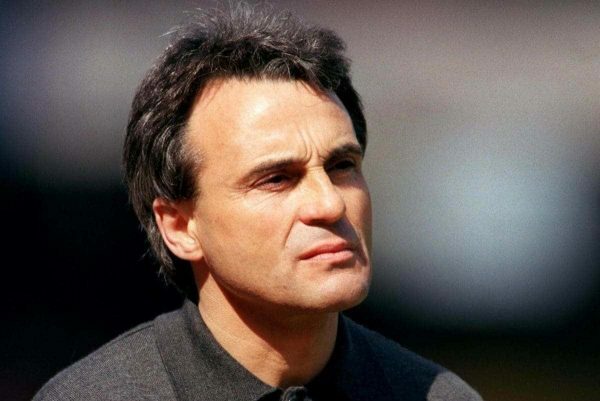 Upon joining Mainz in 1995, having launched his coaching career in Switzerland, Frank walked into a very difficult environment with the club firmly lodged at the bottom of the 2. Bundesliga, looking straight down the barrel of relegation. With Mainz still five points off safety by the midway point of the season, Frank took a drastic decision to change the club’s fortunes, and in the long run, a tactical switch which would alter the landscape of German football throughout the 21st century—even if he did not know it at the time. Frank decided to abolish the role of the sweeper—one which had been pioneered by the likes of Franz Beckenbauer—ridding his Mainz team of a final outfield player behind the defence; a position which was ubiquitous across Germany at the time. Introducing a flat back four, Frank spent hours at a time on the training ground, drilling this completely alien system into his players to coordinate their collective movement from side to side across the pitch. He also introduced zonal marking, with an emphasis on defending the space from set-pieces, rather than marking individual opposition players. Video analysis is now a standard tool used by coaches to work on tactical tweaks and to identify opposition patterns of play and weaknesses. During Frank’s time, however, it was a rarity and it was at his request that video analysis facilities were brought in to continue his tactical revolution at Mainz. Analysts were recruited from Mainz University, including one particular young sports scientist, Peter Krawietz—who would later go on to become Mainz’s head of scouting and, of course, an integral member of Klopp’s coaching team, accompanying him at Mainz, Dortmund and Liverpool. 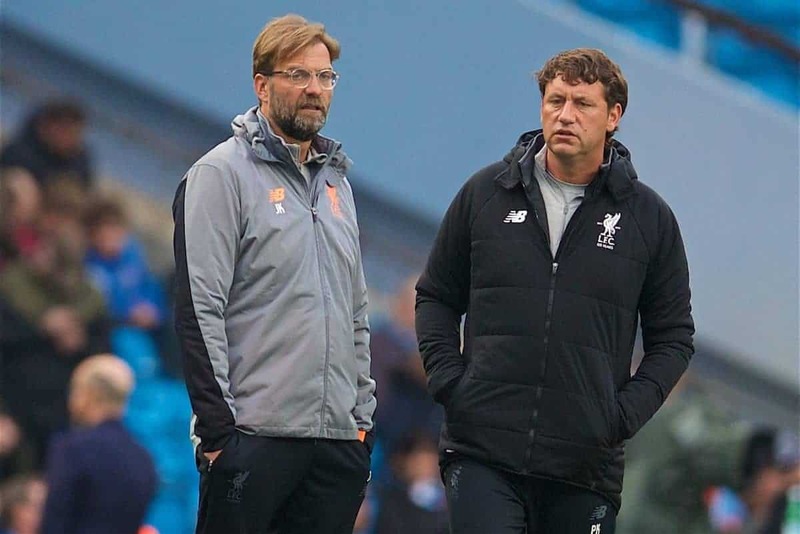 Trialling the new back-four system in a friendly fixture, with Klopp featuring in defence, Mainz won 6-0, going on to rack up a remarkable 32 points in the second half of the season. This was more than any other side in Germany’s top two divisions, as Frank led Mainz to safety—a prospect which had seemed impossible several months earlier. Just as Klopp has demonstrated throughout his managerial career—especially in winning two Bundesliga titles with Dortmund—Frank was able to develop a tactical system which enabled his team to overcome individually and technically superior sides, triumphing despite significantly weaker financial resources than rival clubs. Following a brief spell at FK Austria Wien from 1997 to 1998, Frank later returned to Mainz where he reinstalled the system which neither Reinhard Saftig nor Dietmar Constantini had sustained during his time in Austria. Immensely frustrated that these coaches had departed from Frank’s tactical blueprint, Klopp made his thoughts clear to Mainz’s hierarchy and was keen for a return to the system which had worked so well prior to Frank’s departure. 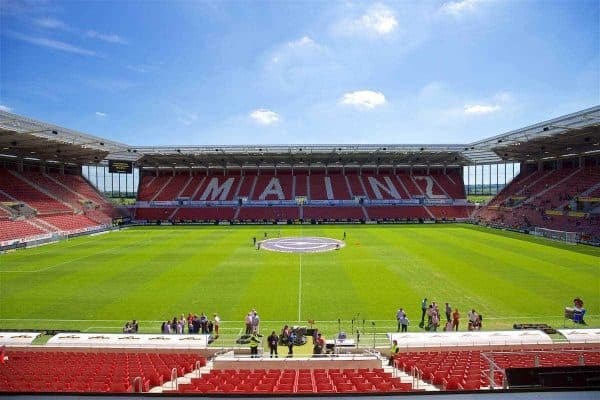 Reverting to the back four and zonal marking duly saw Mainz finish in seventh and ninth place respectively in 1998/99 and 1999/2000—a major achievement given the club’s minuscule budget at the time. Frank, however, had his sights set on eventually coaching in the Bundesliga and moved to MSV Duisberg, where he felt he had a better chance of finally achieving promotion to Germany’s top flight. Lasting just four months in his new job, Frank’s managerial career gradually deteriorated thereafter. Meanwhile, his subsequent successors at Mainz struggled to get to grips with his tactical system and were unable to implement his blueprint with any great success. In February 2001, with Mainz threatened by relegation once more, Christian Heidel—general manager at the time—decided that the best solution would be to appoint one of the players who had learned and played according to Frank’s philosophy, and who had the leadership and charisma to make the transition into management. Taking over from Eckhard Krautzun, Klopp went on to save Mainz from relegation, winning 21 points from 36 in his first half-season as manager. He would, of course, eventually lead Mainz to promotion to the Bundesliga, spending seven memorable years at the club where he made his name. It was Klopp’s ability to capture and execute the core pillars of Frank’s philosophy which proved so pivotal in reviving Mainz’s fortunes and elevating them to a new level. But the club’s relegation back to the 2. Bundesliga in 2008 signalled time for Klopp to move on to a new chapter at Dortmund. 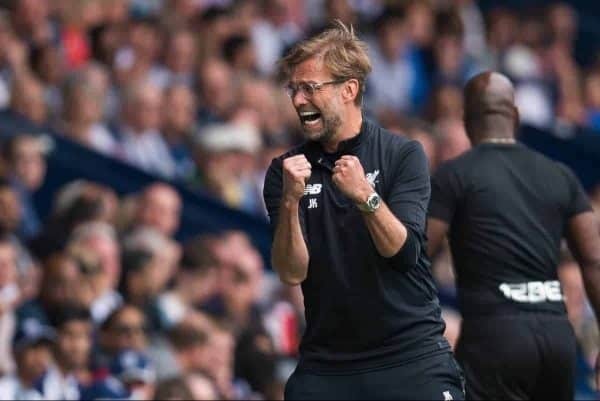 Klopp has gone on to develop his own tactical outlook, with his teams earning a reputation for thrilling, high-octane and emotional football—the inspiration for gegenpressing, which has underpinned so much of his success so far. But this, and indeed the ability to command a dressing room and empower players to become better than the sum of their individual components, can be attributed to his time spent playing under Frank at Mainz. When Klopp reached the Champions League final with Dortmund in 2013, he messaged his former mentor to thank him for all he had done. And upon his passing later that year, Klopp ensured to gather his former Mainz team-mates to attend Frank’s funeral, encapsulating the special relationship the two had shared. Frank’s innovations had changed the direction of German football, influencing a whole new generation of managers including Joachim Low and Ralf Rangnick. 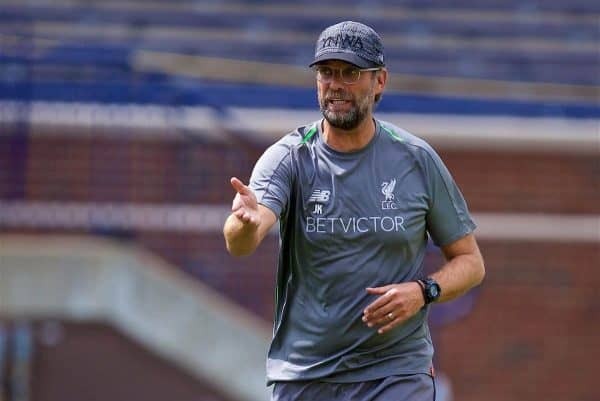 None, however, were directly inspired and motivated to the same degree as Klopp, who continued his mentor’s legacy and would use these principles as the first steps of his journey to the very top of his trade.